While summer is synonymous with sun-tanned bodies, happy sunshine, sandy beaches, and rolling waves, there are cool activities to escape the scorching and glaring heat of the sun. Forget your sunscreen, shades, and swimwear and head to Casino Filipino where a summer-full activities are in store for you. Chill out at the Casino Filipino with an exciting line up of performances. 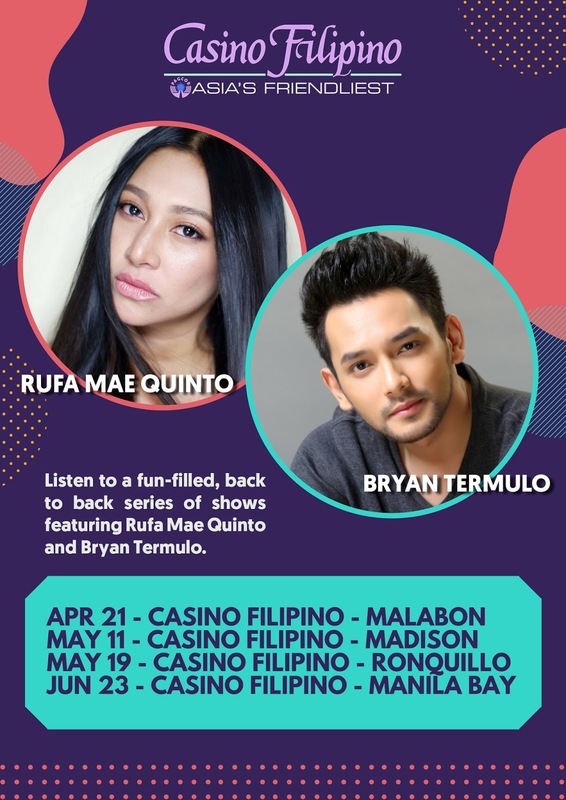 Listen to a fun-filled, back to back series of shows featuring Rufa Mae Quinto and Bryan Termulo on April 21 (Casino Filipino Malabon), May 11(Casino Filipino Madison), May 19 (Casino Filipino Ronquillo), and June 23 (Casino Filipino Manila Bay).